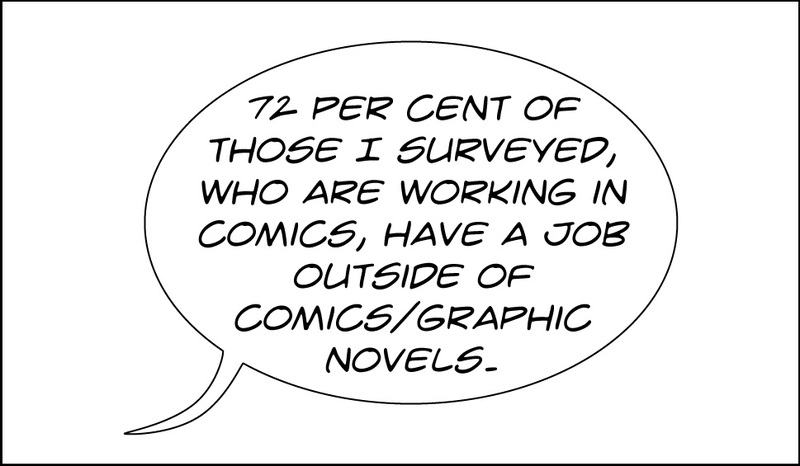 That’s just some of the stats to come out of that huge comics creation survey that I ran over the course of the summer. While I haven’t got the finished analysis to show you yet – I’m currently working with Paul Blewitt to bring you an easy way to digest it all. When I started the survey, I was expecting that there would definitely be a lurch to diversified income streams, but perhaps not this much. The survey pool wasn’t huge in the end – 90 respondents – but this is a relatively small entertainment industry in comparison to others. I hope to bring you the rest of the results in the coming months.